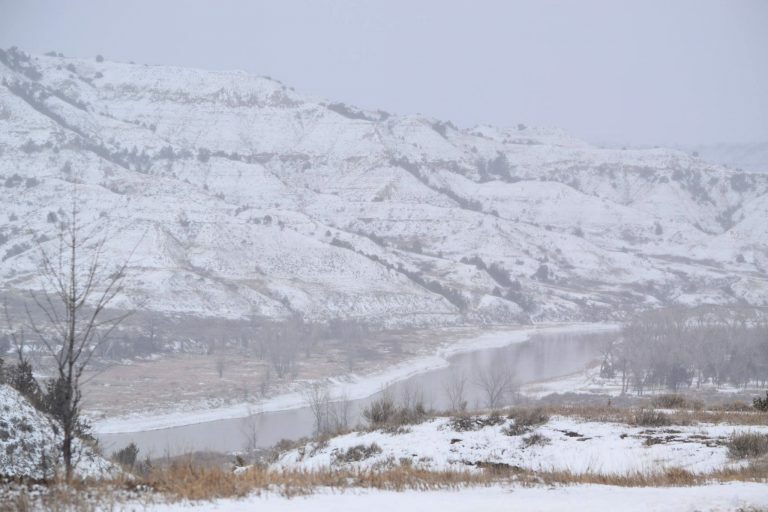 This is the cold, hard reality of what Theodore Roosevelt National Park looks like today. However, they have opened the loop road and Tiffany and I, being the die hards we are, are heading in to see what we can bring you today! Wish us luck! Winter wonderland on April 9th…go figure! That is the Little Missouri river that runs through the park. Neat to see it open and flowing despite the frozen conditions. Stay tuned….